The Santa Fe Watershed Association presents: The Virtuous Cycle of Water and Prosperity. With SANDRA POSTEL, Director of the Global Water Policy Project and author of Replenish. Sandra Postel will take Journey Santa Fe around the world to explore water projects that work with, rather than against, nature’s rhythms. In New Mexico, forest rehabilitation is safeguarding drinking water; along the Mississippi River, farmers are planting cover crops to reduce polluted runoff; and in China, “sponge cities” are capturing rainwater to curb urban flooding. Join Island Press authors Sandra Postel and Abbie Gascho Landis for a discussion on the health of our water cycle and how we can recognize and address human impact on water’s natural rhythms. 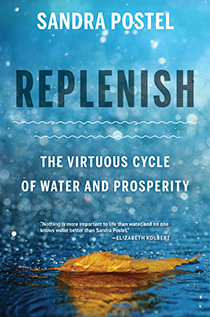 Sandra and Abbie will discuss their recent books, Replenish: The Virtuous Cycle of Water and Prosperity and Immersion: The Science and Mystery of Freshwater Mussels, respectively, and how their research is connected to developing a sustainable water system. The conversation will be moderated by Nicole Silk, President of the River Network, and will be followed by a question and answer session. Join Island Press author Sandra Postel at the UCLA Luskin Center for Innovation. 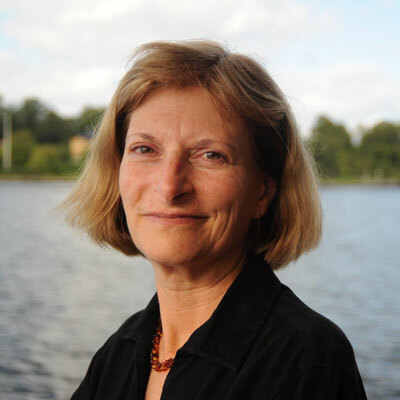 Sandra will provide a presentation on the research from her book Replenish: The Virtuous Cycle of Water and Prosperity, followed by a discussion moderated by Mark Gold. The discussion will be followed by an Author Q&A and after the speaking event there will be a book signing.